An employee at an Arizona facility for migrant children separated from their families at the U.S.-Mexico border is behind bars after being accused of sexually abusing a 14-year-old girl. 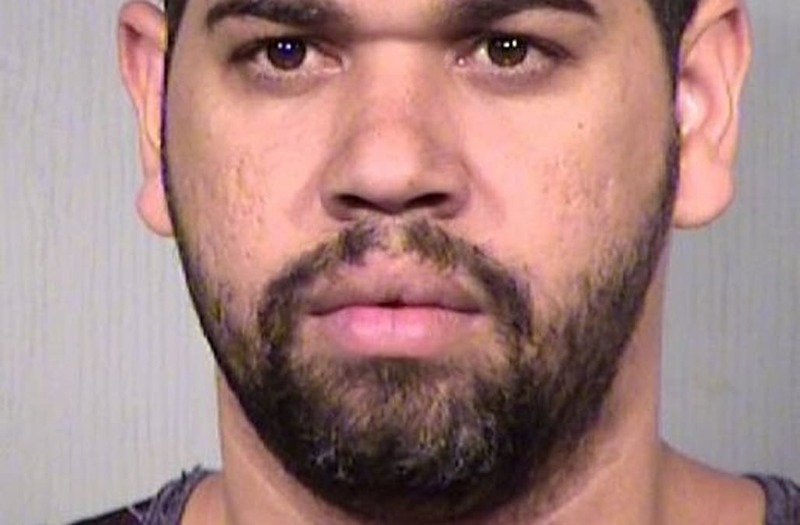 The employee, Fernando Magaz Negrete, 32, was arrested on Tuesday after another child reported witnessing the abuse in a bedroom at a Southwest Key facility in Phoenix late last month, according to an arrest report. The facility, on West Campbell Avenue, appears to be one that first lady Melania Trump toured in June. When questioned by Phoenix police, Negrete, who faces charges of child molestation, sexual abuse and aggravated assault, reportedly admitted to inappropriately touching the child. Surveillance video captured him approaching the girl’s bedroom several times from 9 p.m. to 10:30 p.m. on June 27, according to court documents obtained by local news site AZ Family. Negrete is listed as a care worker in the arrest report. It does not say how long he has been employed at the children’s facility. Southwest Key is a nonprofit private organization that provides youth services and runs immigrant children’s shelters under contract with the Department of Health and Human Services. Representatives for the facility and HHS did not immediately respond to requests for comment on Thursday. Organization spokesman Jeff Eller, in a statement obtained by AZ Family, said Southwest Key takes allegations of abuse seriously. “When a child tells us of inappropriate behavior, we immediately call law enforcement and start an internal investigation as appropriate. That’s what happened in this case. Southwest Key always works with law enforcement to bring the full force of the law to bear when it is warranted,” he said. It is the latest in a number of allegations of physical or sexual abuse at Southwest Key facilities. His letter mentioned the alleged physical and sexual abuse of a 6-year-old girl at a facility operated by Southwest Key in Glendale, just outside Phoenix, reported last month; a 15-year-old boy’s claims that he was harassed and threatened by a roommate at a facility in Tucson; sexual harassment reported in 2017 also in Tucson; and a molestation in 2015. According to Southwest Key’s website, the organization operates programs in Arizona, California, Colorado, Georgia, Florida, New York, Texas and Wisconsin. Only two of those programs, in Arizona and Texas, are specifically for unaccompanied minors.